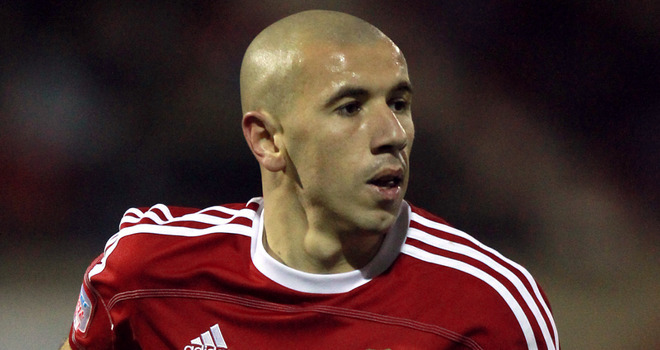 In the latest installment in the series, STEVEN FYFE catches up with former Swindon Town striker Mehdi Kerrouche. Making just 18 appearances will not make you a club legend, but scoring eight goals in that time will make you a fan favourite. 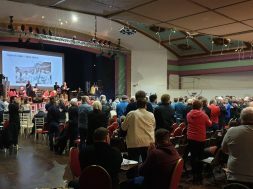 What attracted you to Swindon? I must be honest, I did not really know the club before signing. But I wanted to play in England, and when I went to Google and I saw the stadium and videos of supporters, I did not hesitate long. You started really well and was top scorer – did you feel it was going well? It is true that I started well. The group made me feel very welcome. Everyone put me at ease, the staff, the players, and I felt that I was important in the team. My goal was to be a champion with the team and finish top scorer of the league. The ‘Kerrouche is on fire’ chant was very popular – how was your relationship with the fans? Of course I felt this connection with the fans, when I came on the field I had only one desire and that was to score and to hear them sing my song. That sensation, those chills, I did not know that feeling anywhere else … This song I heard everywhere in the city, at the stadium when I was playing, in the restaurant, town-centre when I was walking with my family, in the disco when I went out to celebrate a victory with my teammates. It made me proud and I enjoyed giving them photos or autographs when they asked me. Is it fair to say yourself and Di Canio fell out? Without any pretension I was the best striker in the team and the statistics proved it match after match. 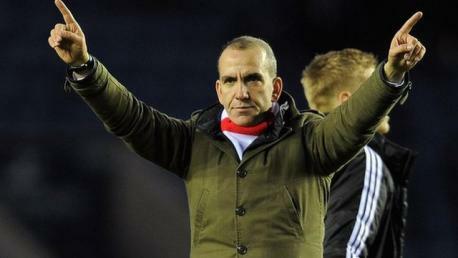 Everyone knew it in the team, Di Canio knew it and he told me after every game. I hate injustice and when I see that you are unjust with someone – well I can not be shut up. 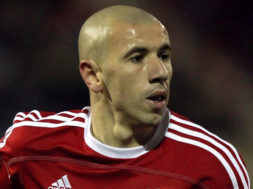 Di Canio was unfair with many players on the team, not just with me. I went to Oxford because I was pushed to the exit and I finally accepted because I could continue to live in my house in Swindon and that would allow me to keep the same life with my Swindon teammates and have time to be competitive again. Before the end of my loan Di Canio called my agent to tell him that he wanted me to come back and that he and I were starting from scratch and that the competition would be healthy. I returned with pleasure and at the first training the day of my return, he recruited a new striker and he put me aside and I trained away from the group by making me run like a dog around the field in front of the teammates who played ball, and the afternoon in the gym tortured me. I worked every day without ever talking in the press, when he told in the press that I did not train enough or that I was lazy. I wanted to explode and every day that I ever crossed it he did not look me in the eye and it comforted me on what I thought of him. All this is only a lie because I have always given everything on the field and that is why the supporters gave me this affection and that there was this connection with the public. Because you can not cheat on the fans on a field. You mention Oxford – having played for both do you have split loyalties? Of course not, although I was sent on loan for a month to Oxford, there is no hesitation between these two clubs for me. 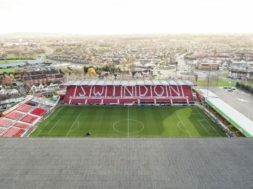 Swindon is the club that will remain in my heart. I loved playing at the County Ground, living with my family in this city, scoring goals in front of these wonderful fans, when I think of them singing my song that gives me goose bumps still. For all these reasons I can say without any hesitation “come on you Reds”. The first one ME of course . We had a very good team and very good players at each post. But If I had to choose five or six I would say Matt Ritchie, Nathan Thompson, Etienne Esajas ( technically he was the best ), Wes Foderingham and Alan Macca (McCormack). How do you reflect on your year at Town? 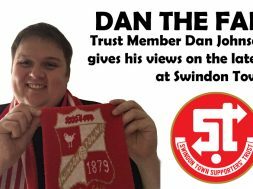 My year in Swindon could have been absolutely wonderful as I had a very good human relationship with everyone at the club and in the city. And I have a taste of unfinished because I’m sure that if the second part of the season I will have continued playing I will surely finish top scorer and can be help the team to win the JPT against Chesterfield. But who knows, maybe I would come back to rewrite the story. Give my number to the board.